Ford Grand C-Max 1.5 EcoBoost Titanium 5dr Powershift 2019 Review | What Car? What Car? will save you at least £3,653, but our approved dealers could save you even more. This is a popular choice for buyers wanting a more luxurious-feeling car and it’s not bad value given the equipment. 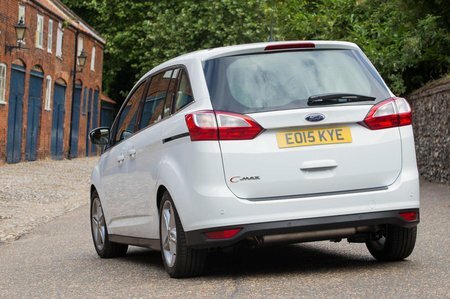 On top of Zetec, it adds the 8.0in touchscreen (but sat-nav is still an option), climate control, auto lights and wipers, power-operated rear child locks, rear electric windows, cruise control and LED daytime running lights.